For corporations thinking of entering the sports marketing sponsorship scene, it might be time for new sports marketing thinking, writes Arthur Solomon. The 2014 Roman numerical Super Bowl is history. So is the Winter Olympics. But still to come are many other events that sports fans eagerly await: the beginning of the baseball season, the NBA playoffs, the World Series, and the beginning of a new football season. Sports fanatics are thrilled. But for corporations thinking of entering the sports marketing sponsorship scene, and also for veteran sponsors, it might be time for new sports marketing thinking. From a business perspective, does it make sense to sink millions of dollars into one or two big catch-all events? Or is it wiser to spread the money throughout the year on more brand-targeted shows? From a moral viewpoint, should corporations that consider themselves "good citizens" be so closely tied to organizations such as the National Football League, which for years did little about the dangers of concussions? Meanwhile, the National Hockey League still allows fighting on the ice, and Major League Baseball is playing the good cop regarding performance-enhancing drugs. The International Olympic Committee awarded its games to countries such as Nazi Germany, China, and twice to Russia. For decades, sponsors of sporting events have largely been engulfed in Teflon when the media wrote negatives stories about the unsportsmanlike conduct by the leagues and their players. But that all changed when attacks by LGBT activists caused American sponsors of the Sochi Olympics to change or abandon long-planned social media campaigns because of Russia’s anti-gay legislation. Media stories prominently mentioned the sponsors. Which begs the questions to marketers: Is it time for new sports marketing thinking? Is it time to at least explore other promotional opportunities? When I was an SVP and senior counselor at Burson-Marsteller, a client whose corporation was a long-time sponsor of a major sports events that I managed confided to me that he didn’t know if his company was getting a fair ROI on its sports tie-ins. He said that despite receiving considerable major publicity each year, because of sports sponsorships clutter, a survey showed that consumers didn’t know that it was the flagship sponsor of a much-hyped event. Even worse, companies not associated with the event were credited as sponsors. Move forward to several years later. A top executive at a sports media company told me that the unruly actions of parents at youth sports events, and the unsportsmanlike conduct by athletes, was a subject that needed to be addressed. He did so during a series of major media interviews. But since then, the unsportsmanlike conduct has become worse, or at least it seems worse because of media coverage. Today the disgraceful actions of college and pro athletes too often end up in the police report and the leagues too often pretend all is well. The tired use of athletes as spokespeople should also be rethought. Brands that are too closely associated with an athlete are particularly at risk of receiving negative publicity when an athlete goes bad. Also, how much advantage a company gets from being associated with an athlete is often a matter of conjecture. (A Wall Street Journal story on March 5 said that not even Wheaties’ famous promotion of having star athletes on its boxes has kept the cereal from becoming a laggard in its category). There are, of course, ways of minimizing a sponsor being embarrassed. by an athlete. Just use the athlete for print and TV commercials and not as a spokesperson. But that, too, is no longer fool-proof. Social media has added to the risk as athletes’ tweets have been controversial. Also, athletes are much more probable to speak their minds about political and social topics than in the past, even though sponsors would prefer that they didn’t. Certain companies, especially those who equate drinking with fun, will never reduce their sports-sponsorship budget. But others have a choice: reduce your sports sponsorships and use some of the money on promotional events that will position the company as a good corporate citizen. Marketers should ask their agencies to suggest other publicity possibilities to complement their sports sponsorships. They should remember, not all consumers are sports fanatics. 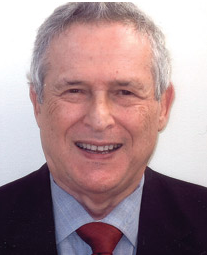 Arthur Solomon was a SVP and senior counselor at Burson-Marsteller.